Tags: pendant necklace, purple stone, semi precious stone. Our elegant purple stone tassel necklace accentuates the beauty found in nature. 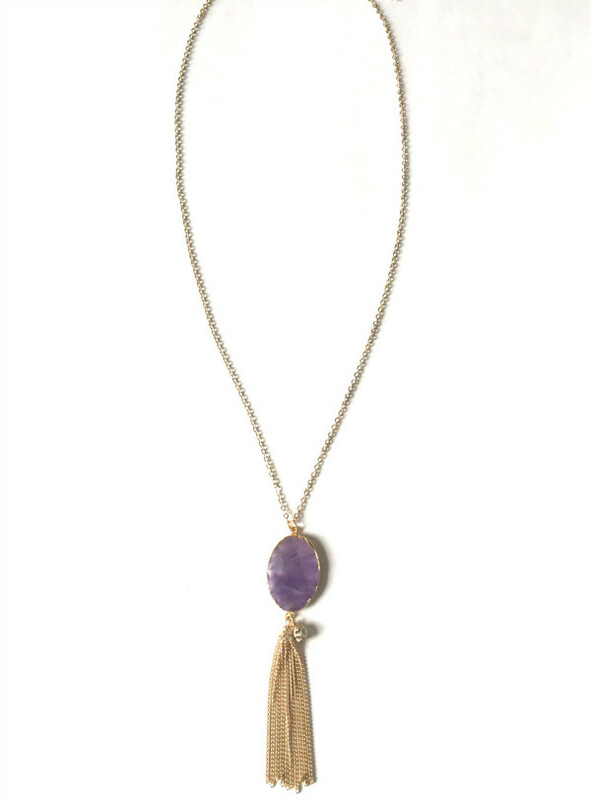 The beautiful purple semi precious stone pendant with its natural striation and pattern makes each one unique. 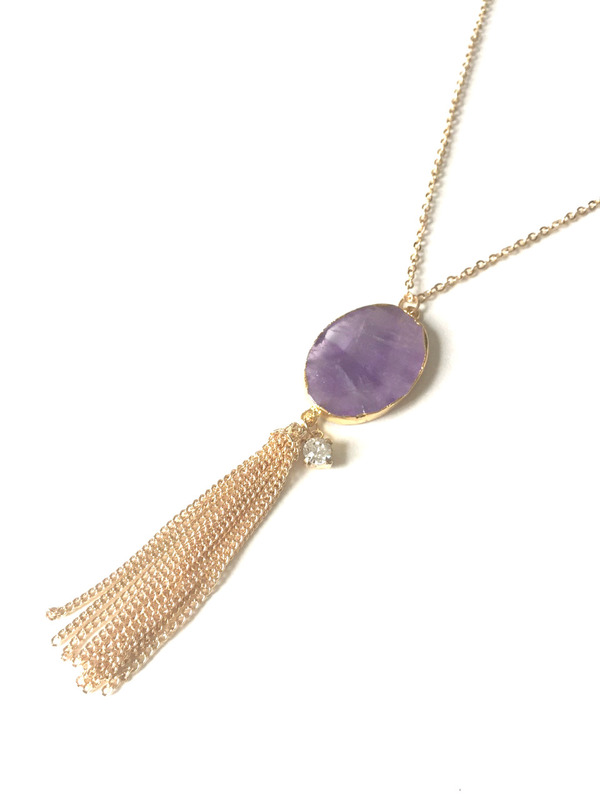 It comes on a 30 inch long gold plated chain, and is finished off with a tassel and a single crystal rhinestone, making this the perfect piece to add a pop of color to any outfit in your closet. This is a must have for your jewelry box!